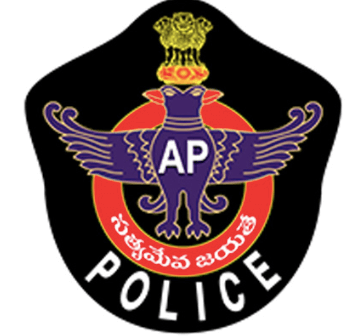 The Andhra Police Recruitment Board will soon publish the notification regarding the posts of Sub-Inspector. A lot of candidates from all over the State are waiting for this vacancy. Soon the official notification regarding Andhra Pradesh Police SI Recruitment 2019 will be released. The candidates are waiting for it very eagerly. The notification regarding this vacancy will be released on the official website. AP Police SI Vacancy 2019 will soon be advertised. The candidates have to apply through the official website. The candidates have to fill the online application form if they want to appear for the selection process of the above post. The selection process will start as soon as the online registration will be completed. AP Police SI Recruitment will soon be available to the candidates. The online application for the Andhra Pradesh Police SI Vacancy 2019 will be out very soon. We will inform you as soon as the online registration process will start. You will have to visit the official website to fill your application. We will provide you the complete procedure to fill the online application form. AP SI Recruitment 2019 will be released in the next few weeks. We are getting news that this vacancy will be made official in the upcoming month. No official date has been finalized as of yet. So the candidates have to wait for at least one more month to get the notification regarding Andhra Pradesh SI Vacancy. Latest News (03 Feb 2019): The candidates can visit the official website to fill the online application form for the post of Sub Inspector. You can follow the below given link to fill the online application form. For the Post Code Nos. 11 and 12 – both Men & Women are eligible. For the Post Code Nos. 13, 14 and 16 – only Men are eligible. For the Post Code No. 15- only Women are eligible. The candidate must hold, as on 1st July, 2018, a Degree awarded by any University in India, established or incorporated by or under a Central Act, Provisional Act of State or of any institution recognized by the University Grants Commission or any other equivalent qualification. In the case of a candidate belonging to Scheduled Castes or Scheduled Tribes, as on 1st July, 2018, he/she must have passed Intermediate or any other examination recognized by the State Government as being equivalent to Intermediate and should have studied Degree. Find the advertisement regarding Andhra Pradesh Police SI Application Form. Read all the instructions available here on this page. Now go to the provided application form. After registration, enter all your basic details. Fill the all required columns. Read carefully all the filled columns in Andhra Police SI Online Form. If you guys are waiting for the Andhra Pradesh Police SI Recruitment, then you have to wait for few more days. The official notification regarding this vacancy is still not published. Here in this article, we have shared all details regarding it. You can also pay a visit to the official website to get all these details. We are just hoping that Andhra Pradesh Police SI Vacancy 2019 to be declared as soon as possible. You can follow the above-given procedure to fill your application form. If you still want to ask any question regarding the AP Police SI Recruitment 2019, contact us.